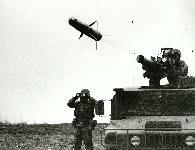 The TOW anti-tank missile of Iran-Contra fame was introduced for service in the US Army in 1970. Current versions are capable of penetrating more than 30 inches of armor, or "any 1990s tank," at a maximum range of more than 3,000 meters. 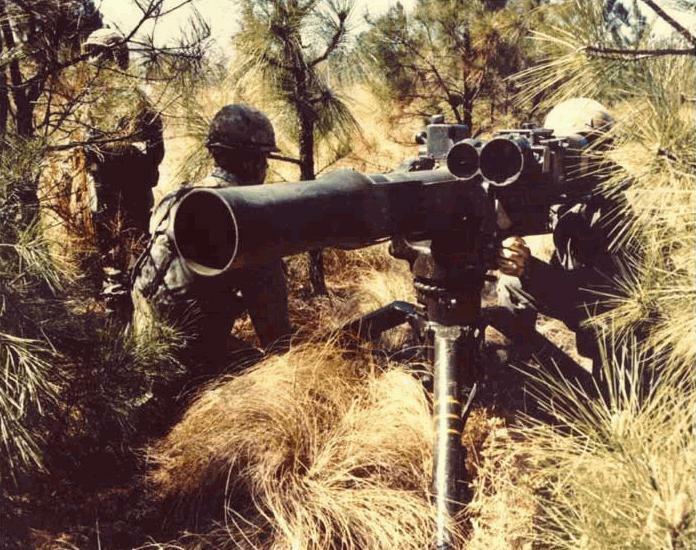 It can be fired by infantrymen using a tripod, as well from vehicles and helicopters, and can launch 3 missiles in 90 seconds. 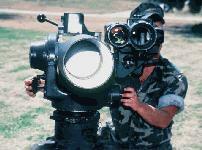 It is primarily used in antitank warfare, and is a command to line of sight, wire-guided weapon. TOW is used to engage and destroy enemy armored vehicles, primarily tanks. Secondary mission is to destroy other point targets such as non-armored vehicles, crew-served weapons and launchers. 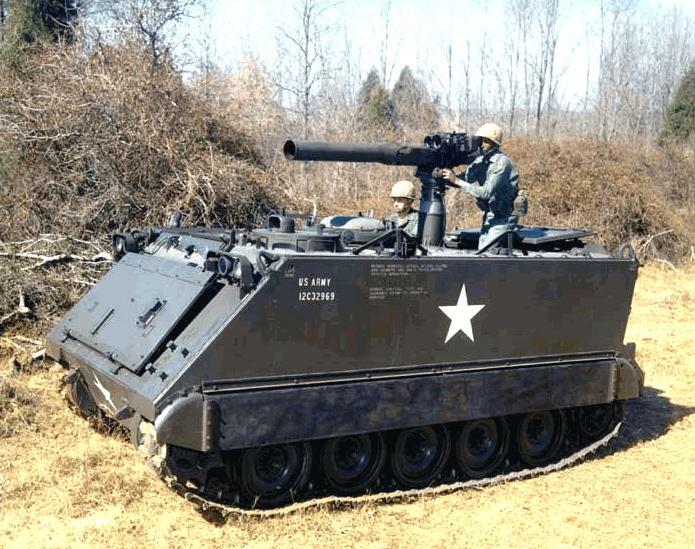 This system is designed to attack and defeat tanks and other armored vehicles. The system will operate in all weather conditions and on the "dirty" battlefield. 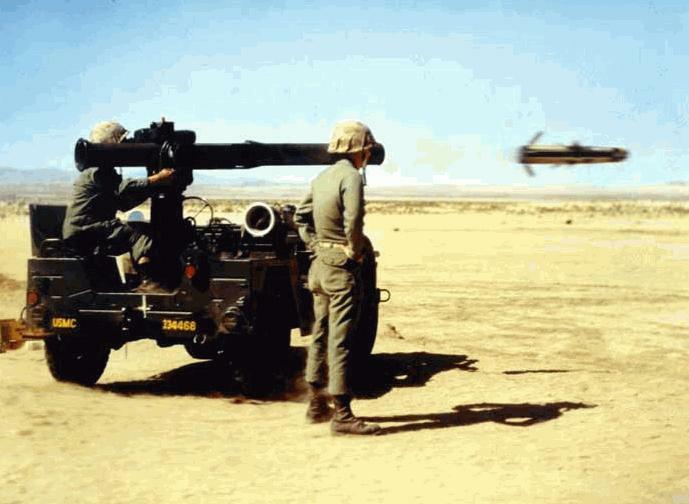 The basic TOW Weapon System was fielded in 1970. Manufactured by Hughes Aircraft Company, the TOW is the most widely distributed anti-tank guided missile in the world with over 500,000 built and in service in the U.S. and 36 other countries. 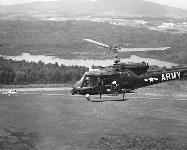 The TOW has extensive combat experience in Vietnam and the Middle East. Iran may have obtained 1,750 or more TOWs and used TOWs against Iraqi tanks in the 1980s. 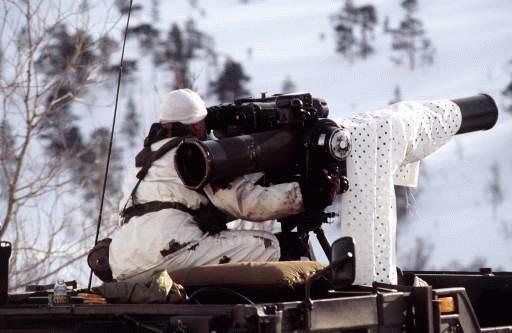 The TOW 2 launcher is the most recent launcher upgrade. 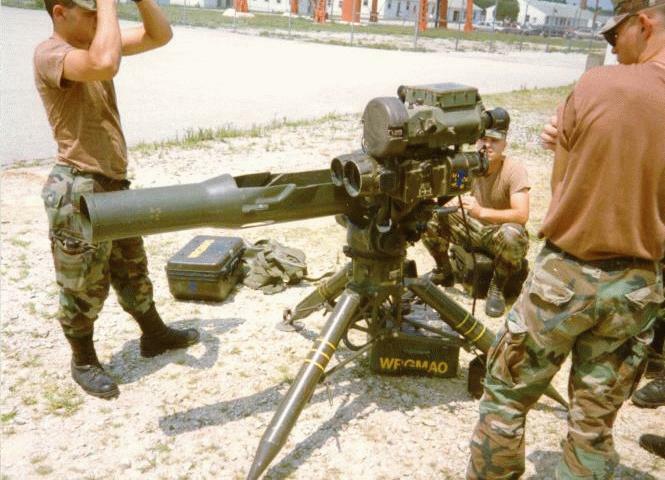 It is compatible with all TOW missiles. 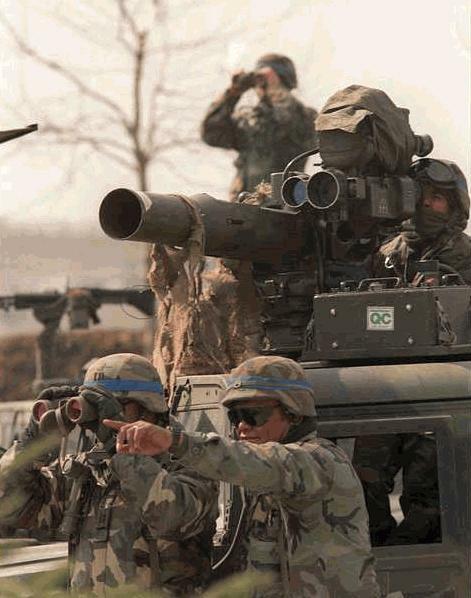 The TOW 2 Weapon System is composed of a reusable launcher, a missile guidance set, and sight system. The system can be tripod mounted. 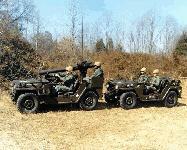 However because it is heavy, it is generally employed from the HMMWV. The missile has a 20-year maintenance-free storage life. All versions of the TOW missile can be fired from the current launcher. 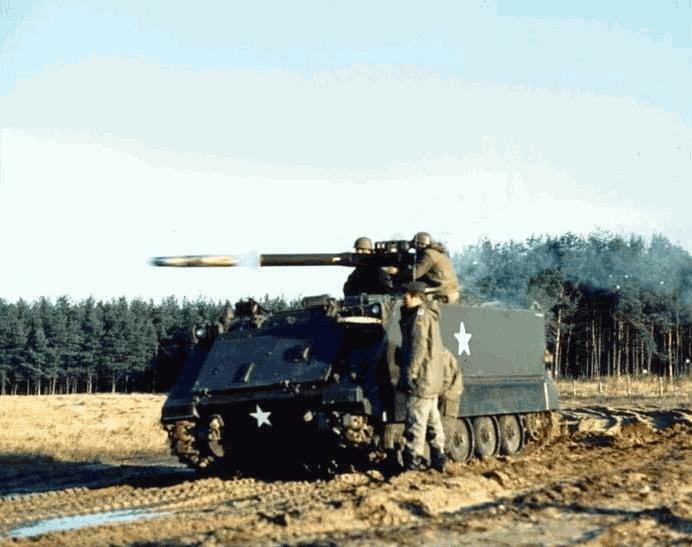 The TOW is a crew portable, vehicle-mounted, heavy anitarmor weapon system consisting of a launcher and one of five versions of the TOW missile. 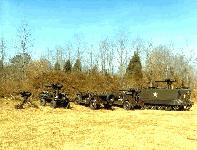 It is designed to defeat armored vehicles and other targets such as field fortifications from ranges up to 3,750 meters. After firing the missile, the gunner must keep the cross hairs of the sight centered on the target to ensure a hit. 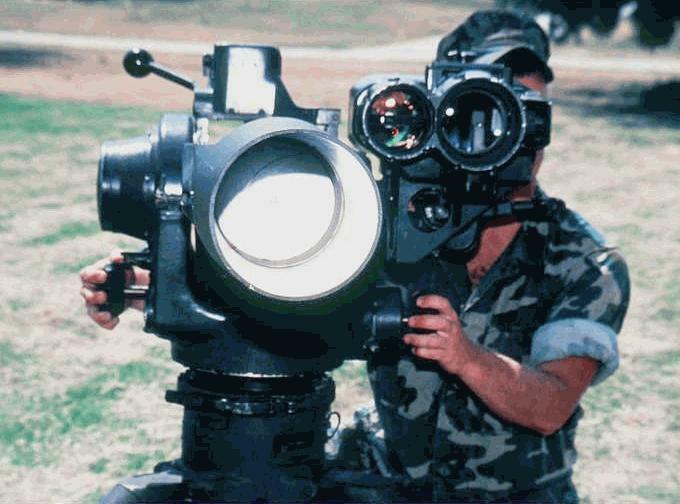 The system will operate in all weather conditions in which the gunner can see a target throughout the missile flight by using either a day or night sight. The TOW Sight Improvement Program (TSIP) effort began in 199 However, on 15 October 1991 The Secretary of the Army cancelled the TSIP because of declining budget & funding issues. 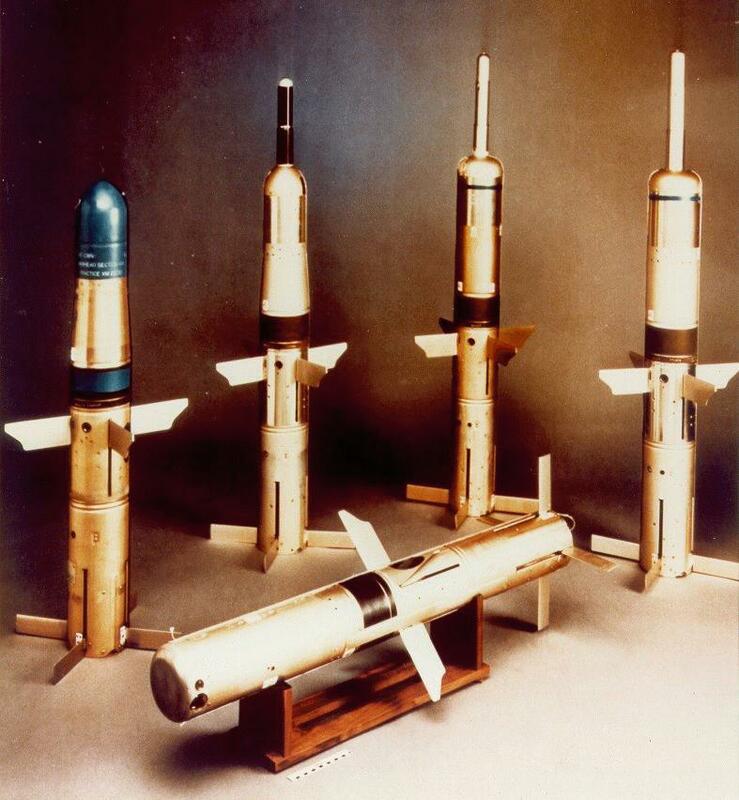 The Assistant Secretary of the Army for Research, Development and Acquisition directed the PEO, Tactical Missiles to coordinate the development of an affordable alternative. The latter effort subsequently became known as the Improved Target Acquisition System (ITAS) being developed for the Army's light forces. The TOW Improved Target Acquisition System (ITAS) is a materiel change to the The ITAS is a material change to the current TOW2 ground launcher and M966 HMMWV TOW2 acquisition and fire control subsystems for first-to-deploy light forces. ITAS aides in firing all versions of TOW and builds the bridge to TOW F&F. The TOW tripod and launch tube remain unchanged. 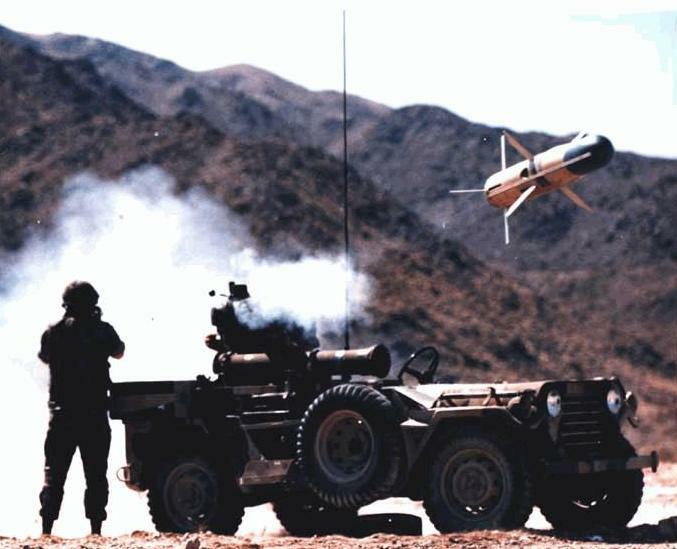 ITAS significantly increases target acquisition and engagement ranges, while retaining the capability to fire all configurations of the TOW missile. ITAS uses a second-generation forward-looking infrared system, digital components, and an eyesafe laser range finder. ITAS has an improved design with BIT/ BITES for increased maintainability and reduced logistics requirements. It also features an improved man-machine interface that improves system engagement performance. The ITAS modification kit consists of an integrated (Day/ Night Sight with Laser Rangefinder) Target Acquisition Subsystem (TAS), Fire Control Subsystem (FCS), Battery Power Source (BPS), and Modified Traversing Unit (TU). 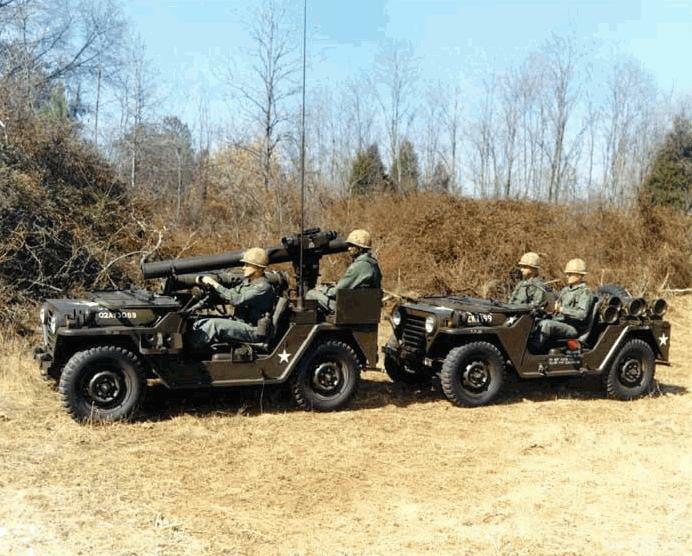 The ITAS will operate from the High Mobility Multi- Purpose Wheeled Vehicle (HMMWV) and the dismount tripod platform. The ITAS will be fielded at battalion level, replacing TOW 2 in light infantry units. 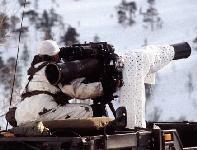 The TOW Improved Target Acquisition System low- rate initial production (LRIP) I contract was awarded September 30, 1996, with a production quantity of twenty- five units. LRIP II was awarded March 1998 for a quantity of seventy-three systems for the 1st BDE Fielding in September 1999. First unit equipped (FUE) was conducted in September 1998. 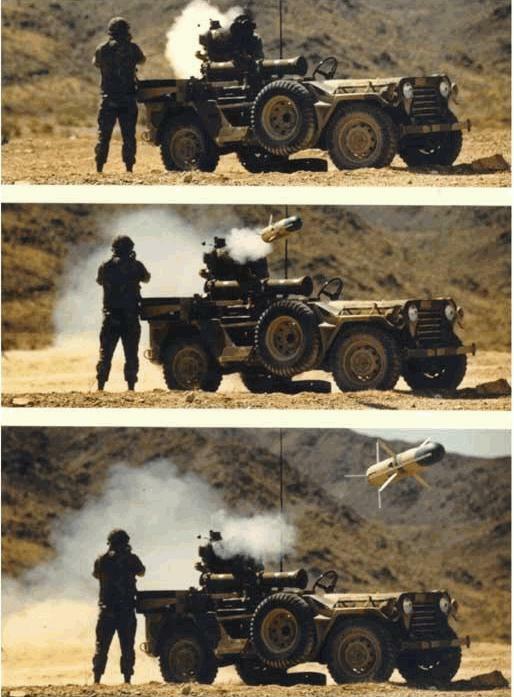 The TOW system is used on the HMMWV, the M151 jeep, the armored personnel carrier, the Bradley Fighting Vehicle (BFV) COBRA helicopters, the ITV, and the US Marine Corps light armored vehicle. Considerable improvements have been made to the missile since 1970. There are six missiles available for the TOW. Three of the five TOW missile versions--Basic TOW, Improved TOW and TOW 2--are no longer being produced for US forces. However, these versions are still used by 40 allied countries. BGM-71A Basic TOW The original TOW missile had a diameter of 5 inches and a range of 3000 meters. BGM-71C Improved TOW (ITOW) The Improved TOW (ITOW) was delivered in 1982. This missile has a 5-inch diameter warhead, and includes an extended probe for greater standoff and penetration. An enhanced flight motor was included in the ITOW, increasing the missile's range to 3750 meters. 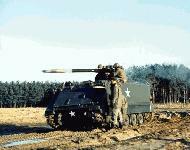 BGM-71D TOW 2The TOW 2 series of improvements includes TOW 2 Hardware, TOW 2 Missile. The TOW 2 [and TOW 2A] have an improved propellant in the flight motors, and the guidance links have been hardened with a thermal beacon which improves operations in dust, smoke, and other obscurants. The thermal beacon is compatible with aircraft with the C-NITE system. The TOW 2 Hardware improvements included a thermal beacon guidance system enabling the gunner to more easily track a target at night and numerous improvements to the Missile Guidance System (MGS). 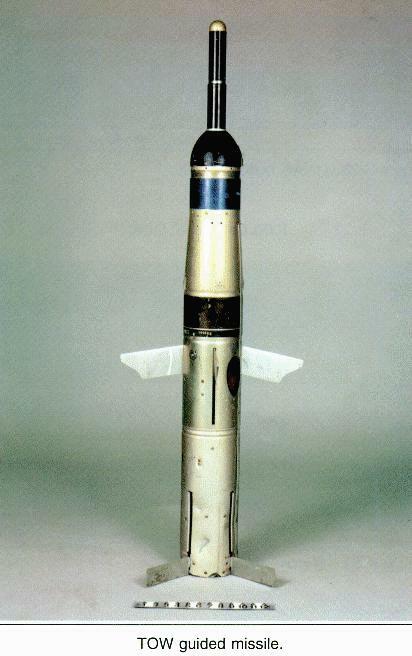 The TOW 2 Missile has a 6-inch diameter warhead and the extended probe first introduced with ITOW. 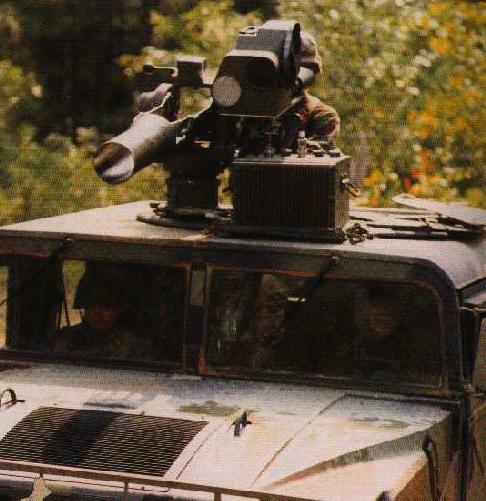 BGM-71E TOW 2A In the late 1980s, the prime contractor for the TOW weapon system began producing the TOW 2A which gives the capability to defeat reactive armor. BGM-71F TOW 2B The TOW 2B is the newest version of the TOW missile which will provide additional capability against future armored threats, starting production as an engineering change proposal to the FY 1990 production contract. 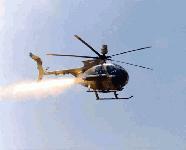 The TOW 2B Missile incorporates new fly-over, shoot-down technology. The TOW 2B entered production in late 1991. 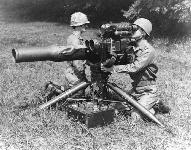 The TOW 2B was designed to attack targets from the top. The missile's trajectory places the missile slightly above the target when its two warheads explode downward. 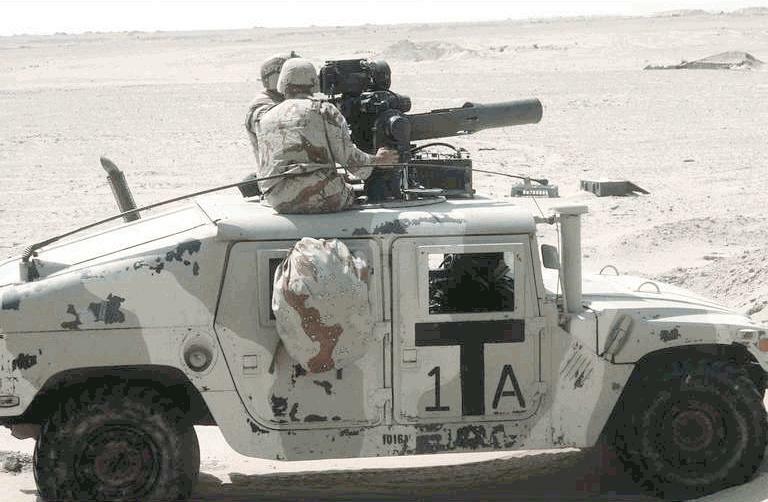 TOW Fire-and-Forget (TOW F&F) The next generation heavy antitank missile that will replace the current TOW series missiles. 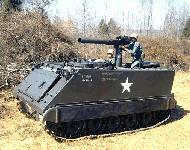 It is employed either mounted or dismounted from the TOW launcher. Tactical employment will remain the same as the current TOW with adjustments made for TOW F&F�s characteristics. TOW F&F�s primary mode of target engagement is fire-and-forget. It will have a secondary mode of attack that together with the fire-and-forget mode will enable the operator to hit any target acquired within range of the missile. First unit equipped is FY05 pending future funding of the program. In May 1972, US soldiers initially used the TOW in combat during the Vietnam War. 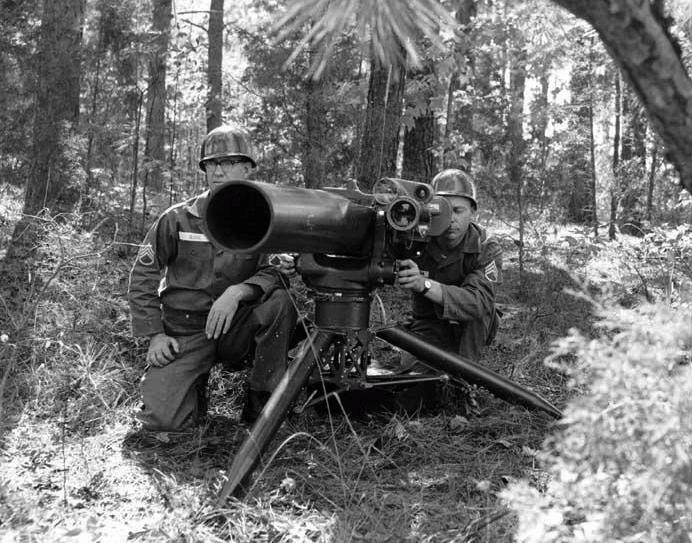 This was the very first time that American troops had ever fired an American-made missile under wartime conditions. The system has also seen action in various clashes between Israel and Syria as well as during the Iran/Iraq war. In Saudi Arabia the system was represented by [the HMMWV] with the light forces, the Bradley Fighting Vehicle with the heavy forces, Improved TOW Vehicle with some of the forces, and the Cobra-mounted version. The TOW was one of the earliest missile systems to arrive in SWA because of the large Iraqi armored threat. 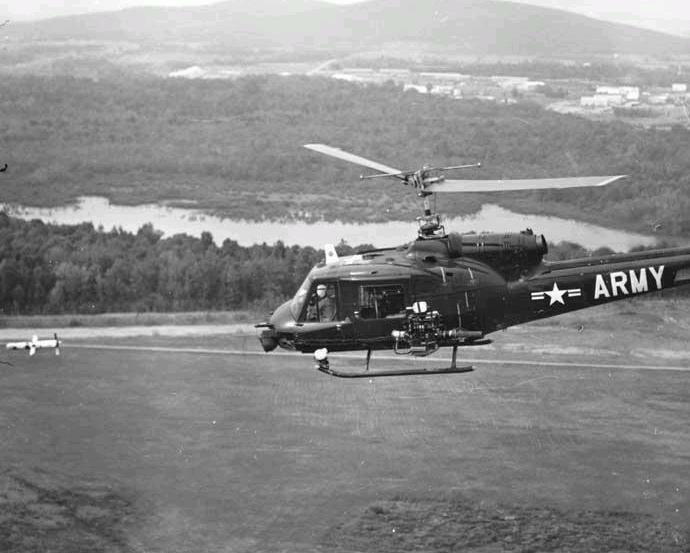 It was deployed with some of the first units in Saudi: the 82nd Airborne Division, the 24th Mechanized Division and the 101st Airborne Division. Thousands of missiles and hundreds of launchers were used during Operation Desert Storm. Forces of other countries, including Saudi Arabia, also had TOW at their disposal. 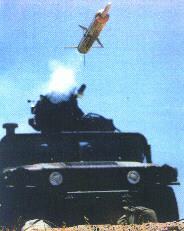 Despite early reports of the problems being experienced by U.S. Army and Marine Corps units in hitting targets during live-fire exercises because soldiers lacked experience firing the weapon as well as Iraqi use of 'dazzlers' intended to interfere with the guidance of Army TOW missiles and other antitank missiles," the TOW during Operation Desert Storm was a primary killer of Iraqi tanks, armored personnel carriers,and other vehicles. Before the start of the coalition air campaign in January 1991, Army and Marine Corps planners noted a trend of improvement as more and more units [had] the opportunity to practice firing the TOW. The Iraqi use of dazzlers also proved to be of little concern to coalition commanders. The purpose of the dazzler is to confuse the missile guidance system so it loses track of the missile. It's a well known technology that does not work against the TOWs used in Southwest Asia. 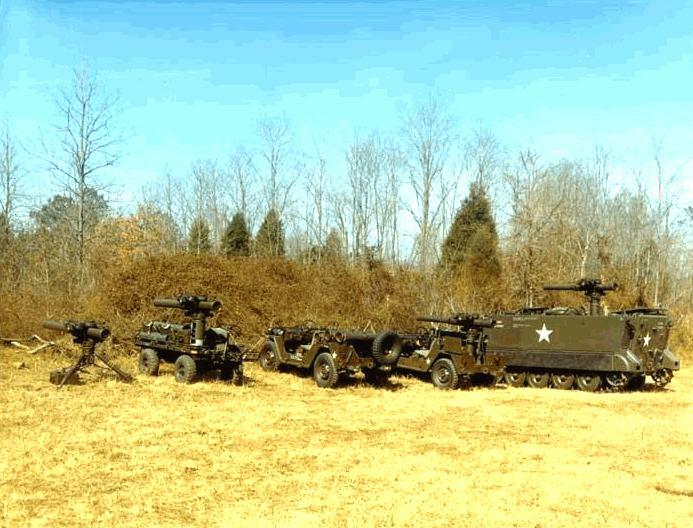 There were no reports since the war that any of these were effective in any way against TOWs. Before the start of the actual ground offensive, US Marine units successfully employed the TOW against various Iraqi targets. 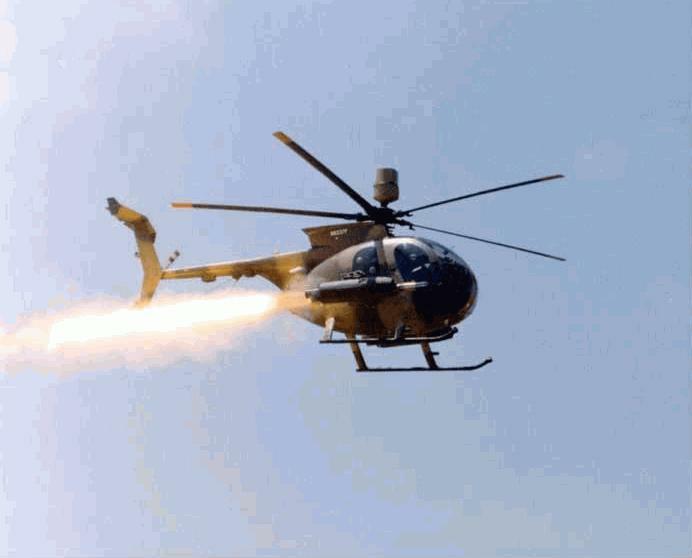 On 18 January 1991, newspapers reported that US Marine Corps AH-1T Cobra helicopter gunships destroyed an Iraqi command post following Iraq's sporadic shelling of the Khafji area near the Saudi-Kuwaiti border. Four Cobra gunships destroyed a building used as an Iraqi command post with TOW missiles. Accounts told by Gulf War veterans who witnessed the TOW in action during the fighting revealed several instances where TOWs did things that surprised the engineers who designed them more than the soldiers who fired them. TOW missiles proved to be a determining factor in the first ground engagement of Operation Desert Storm. During the Battle of Khafji, which took place before the start of the actual ground offensive, the TOW demonstrated a pretty unique ability: the Saudis fought Iraqi tanks with TOW missiles and drove them out of the city. At one point in the battle, the Saudis saw Iraqi soldiers on top of a water tower. Not wishing to blow up the tower, the Saudis fired a TOW, blew the ladder off the tower and left the Iraqis stranded until the end of the battle." The lethality of the TOW missile was proven beyond doubt during the 100-hour ground campaign when one of the antitank munitions fired by US troops went right through the tank it was aimed at and penetrated another tank parked next to it. Another TOW went through a six foot dirt berm and knocked out an Iraqi armored personnel carrier on the otherside. In both instances, the TOW performed a feat which it supposedly was incapable of accomplishing. Primary function: Guided missile weapon system.